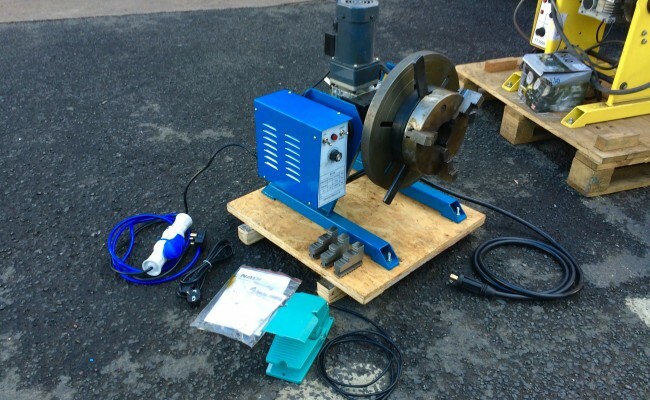 This brand new 100kg welding positioner is a well made and well thought out design, being very light weight and compact, capable of turning a 50kg load @ 150mm away from a tilted vertical table. 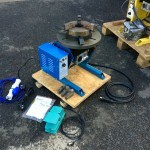 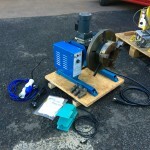 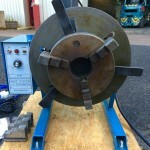 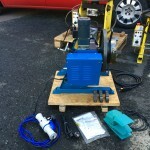 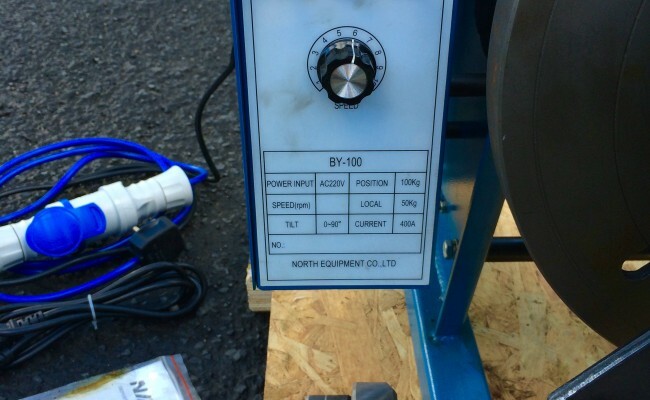 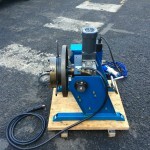 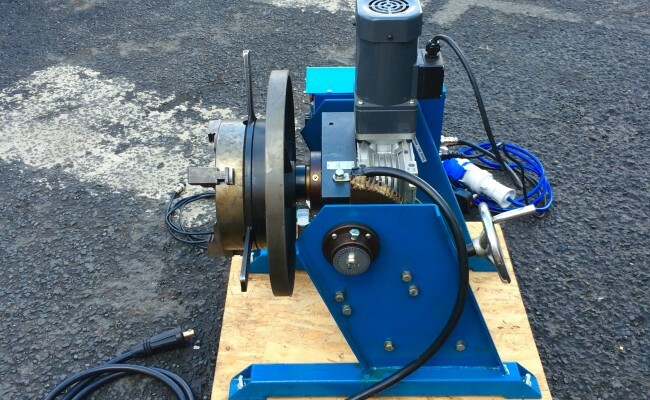 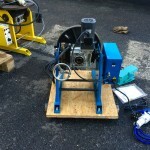 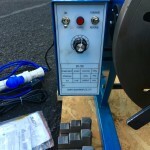 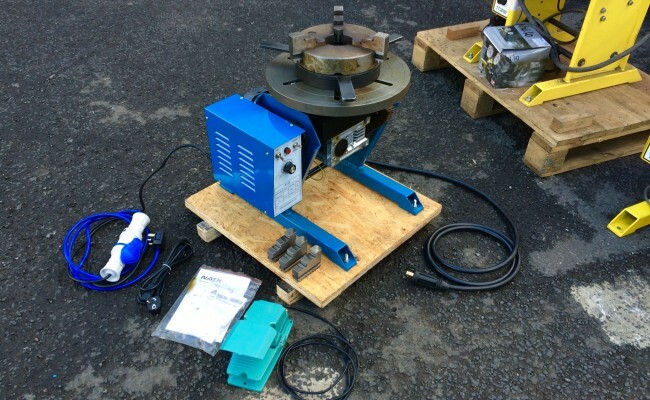 It has x4 bolting holes in each corner of the legs for safely attaching to a bench or trestle, variable speed from 0 up to 12 RPM on the table, and also has an earth lead direct from the welding positioner body fitted with a dinse plug on the end to plug direct into your welding machine earth socket. 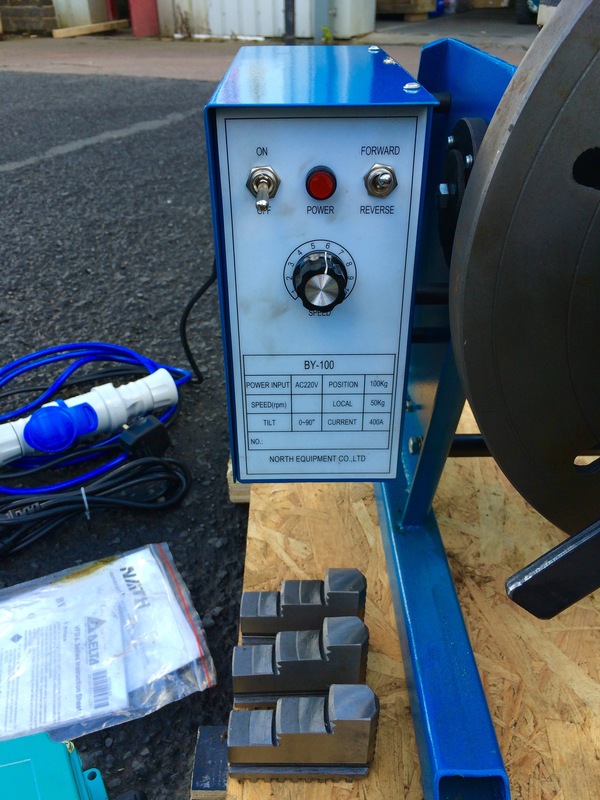 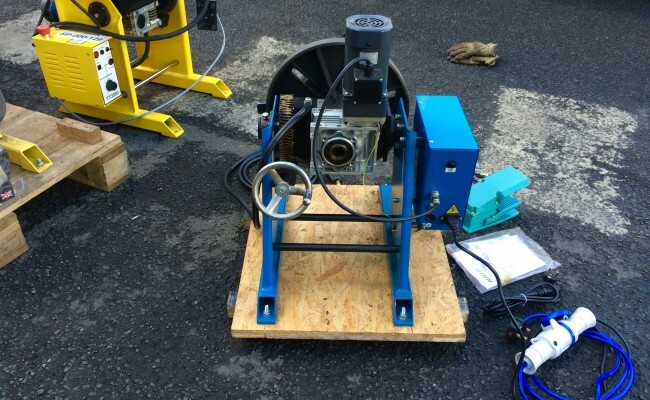 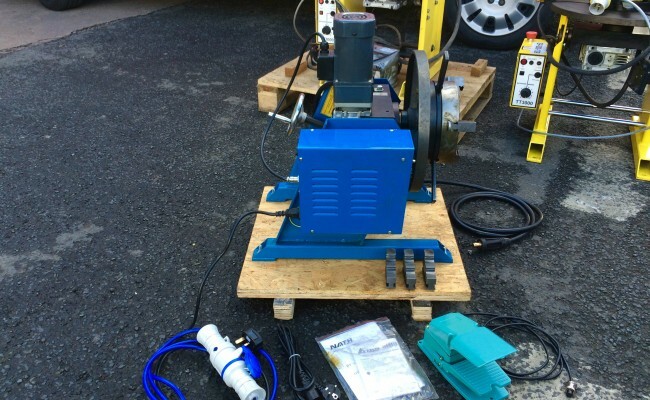 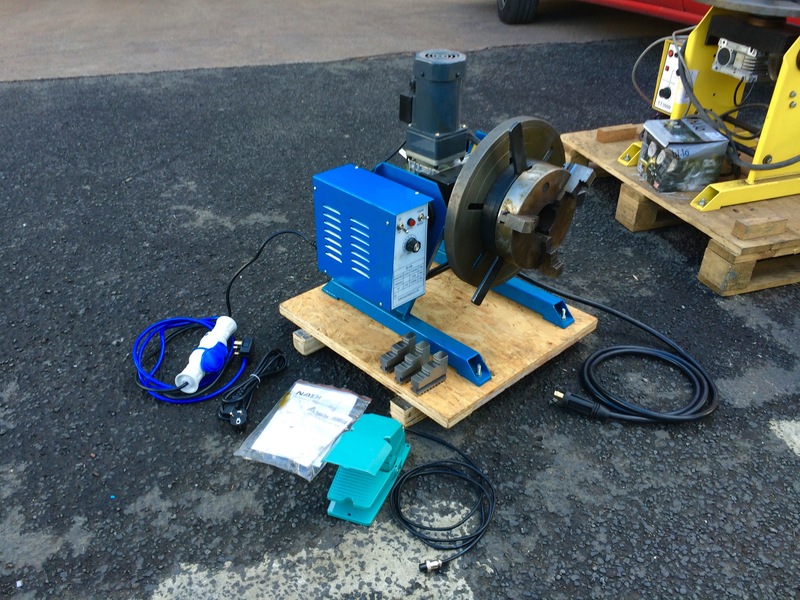 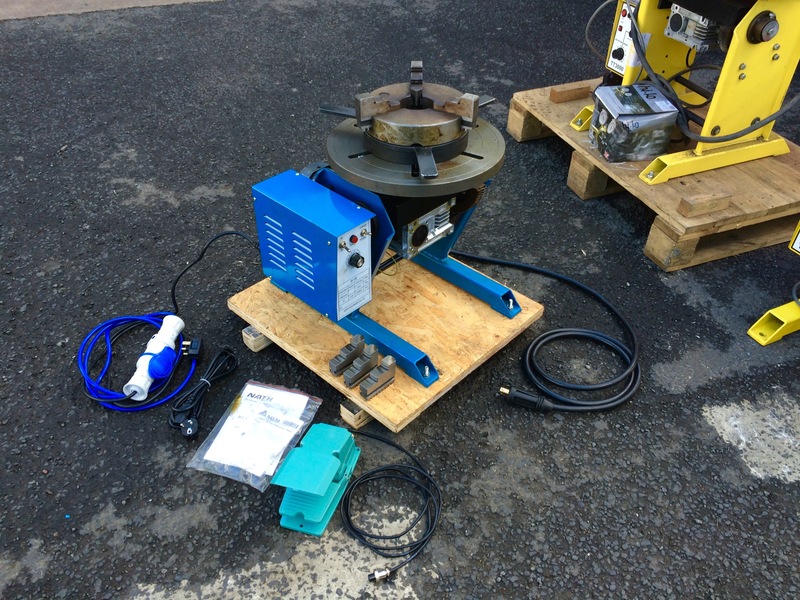 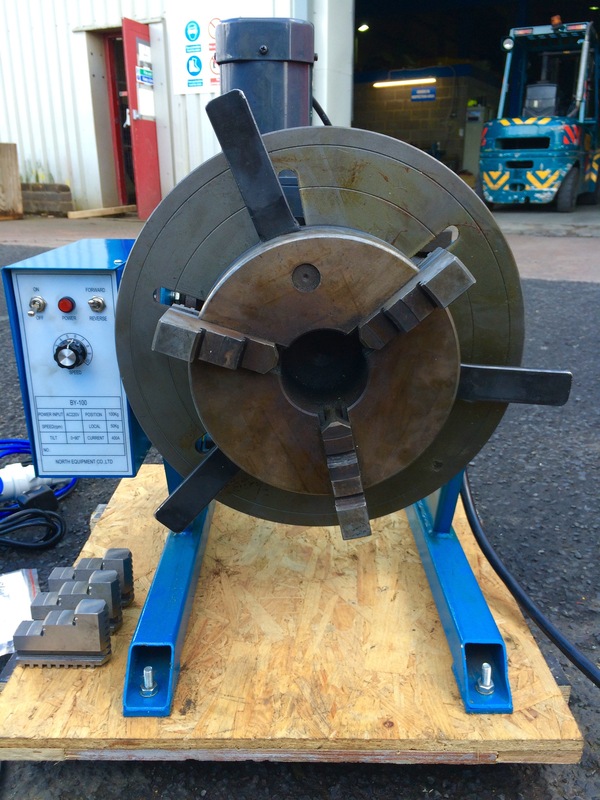 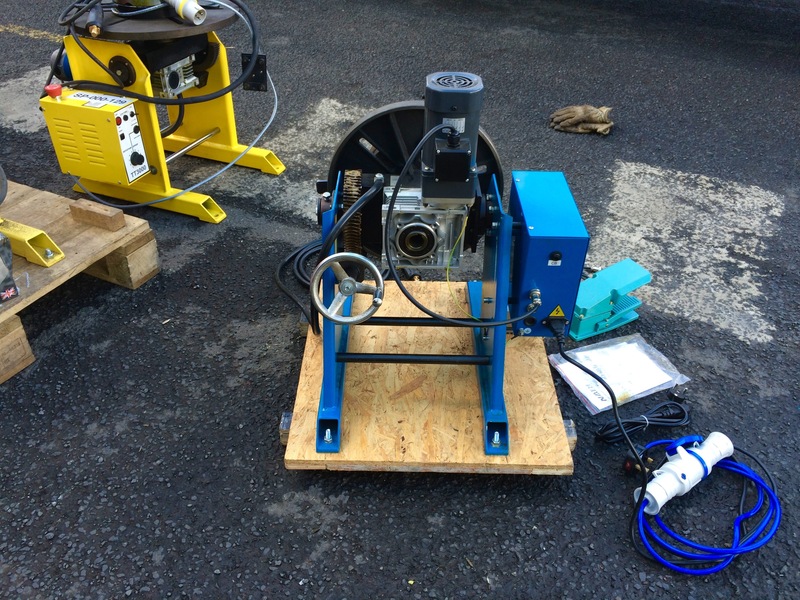 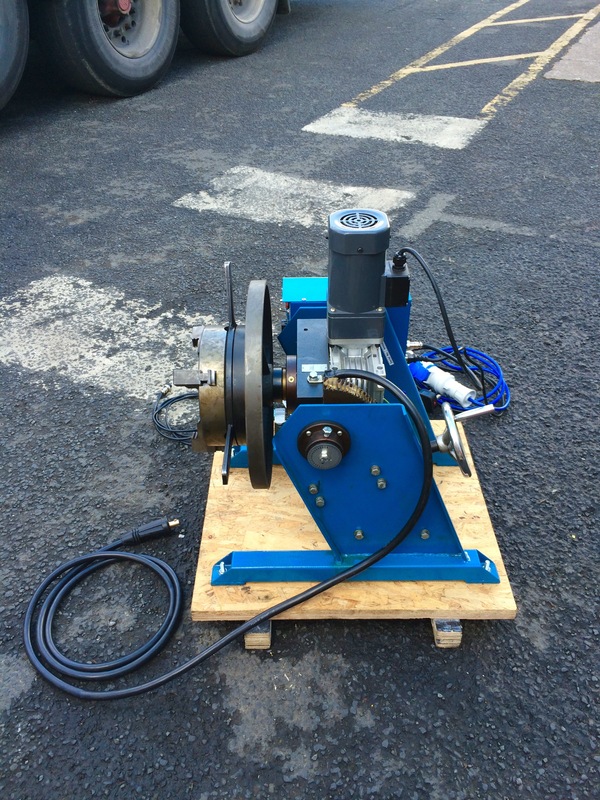 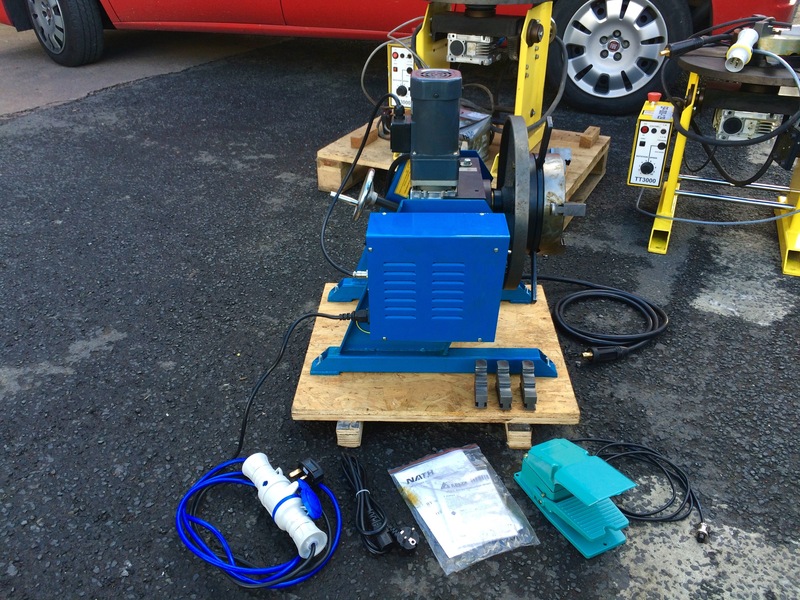 We stock numerous quantities of this 100kg model machine and the 3 jaw quick release 8" chucks, as well as the smaller 60kg positioner which is also very popular, going out on hire and sold every week. 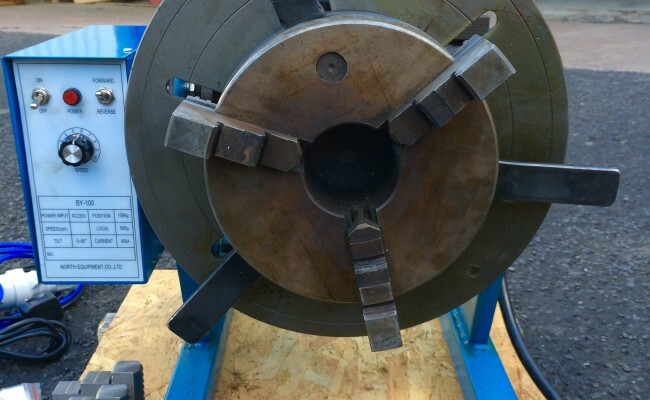 Maximum Clamping Internal Diameter: 8"